Last year, I started Jodi Meadow’s Orphan Queen Series and it was one of my favourites of 2015. Her Incarnate Trilogy had been on my radar thanks to their beautiful, eye-catching covers but I didn’t get inspired to pick them up until after I finished The Mirror King, the finale to The Orphan Queen Series. I think it is fair to say I was in a bit of a book-hangover and thought another Jodi Meadows series could be the cure. So I went to check what the waitlist was like at my library and saw that all the eBooks were available for checkout simultaneously–it was just a sign I had to listen to and so I picked these novels up! Reincarnation is a concept I haven’t really read about in a long time. The last series that really focused on this was the Immortal Series by Alyson Noel for me. Instead, I’ve been reading more novels focusing on alternate dimensions. It’s an interesting concept that meets a cool fantasy twist with the appearance of dragons, centaurs and sylphs. Unfortunately, not much is done with these elements until the 3rd book (and by then I wasn’t really a fan of its execution), but it gives the world a unique flare that intrigued me. Incarnate felt like it had no plot whatsoever–I literally just think time passed as Ana explored the new city and her relationship with Sam. But even then, I felt like nothing happened. The romance is subdued and predictable–your typical young adult fodder. The plot is so slow, I contemplated DNFing the book multiple times. Sure, there is a little bit of world-building to the story as the pages go by but I just wanted it to GO somewhere. And it does get more interesting near the end when a major event happens, paving the way for Asunder. Asunder has more of a mystery feel to it and starts much stronger than its inaugural novel. Now, Ana actually does something about the problems of her situation and the world. I started to get drawn into the world and the plot. Because there actually was a plot! But it started to lose me near the end; I felt like it was waiting to long to make its move. However, I much preferred Asunder to Incarnate. Infinite gets some more physical action but didn’t impress me any more than the rest of the series. I actually would have DNF’d it if it wasn’t the last book–and by this point I just wanted to see how everything would wrap up. Even the use of the fantasy elements didn’t keep my attention. It was just too late to make me a fan of this series. Ana is duller than an unsharpened pencil if you ask me. Even being an outcast didn’t help give her much of a personality. Part of the issue is that I understand why she is on the boring side: she is an outcast and has been raised her entire life to believe she is nothing. So it is fitting that she has a subdued personality. She does start to grow as the series does but she isn’t anything new nor anyone who inspires me to follow her story closely. It’s the same sort of situation with the other characters. Given the state of their world (which is more apparent in the 2nd and 3rd books) it makes sense that these characters fit molds and see no issue with breaking out of them. I felt like everyone was subdued–even though I knew why–and I just didn’t “connect” with anyone. Nothing new or exciting here. It actually got a little bit nauseating as I pressed on through the series. Though it was refreshing not having everyone in love with the heroine for once. Definitely read the Phoenix Overture AFTER book 2, Asunder. It will spoil most of Asunder for you as it elaborates on the “big reveal”. The novella is well done and I does a good job of building upon the momentum of Book 2. It isn’t necessary to read but I highly recommend it if you are able to get your hands on a copy. If you don’t enjoy Incarnate, I highly recommend that you do not pick up the rest of the series. All the books have the same slow plot mixed with some cheesy romance and dull characters. I’m glad I picked up Orphan Queen before I read this series because it would have made me super hesitant to pick it up. Richelle Mead is one of my favourite authors ever. Vampire Academy and its spin-off Bloodlines are two of my favourite series ever with some of my favourite book characters every written. She writes strong females in worlds that are complex yet never overly complicated and she is pretty great at writing forbidden, loads of sexual tension romance. After the flop that was Soundless (it was ok, but didn’t blow me away)–I was really excited to see her jump into a new series and one that was almost like an historical romance. I’m adding this centralized subheading because I think it is really freakin’ important. Don’t be like me and come in with super high expectations for a fast plot because you will be disappointed. If you are familiar with Mead’s paranormal romance works, you know she always has a ton of physical and often political action to her stories. That really isn’t the case here. It’s a slower plot (as I’ll explain below) and it really is so different from her previous works. Go in with a clear mind and leave your Richelle Mead expectations at the door. I really liked the world for this story. It mimics our own in terms of European explorers looking for the New World (North and Central America) but has brand new names and the like. If you have studied any history about this (which we do in Canada let me tell you), you’ll see all the parallels and see the political and social aspects Mead brings to life. I thought it was really smart and not overly complex and I simply loved it. While I like that Adelaide is a head-strong girl, she really rubbed me the wrong way at the start. She’s a little selfish and a lot spoiled so she comes across as arrogant and stubborn. So that made it a little hard to be sympathetic to her situation at the start. BUT, she really comes a long way as the story progresses and I did warm up to her by the end. She may not be my favourite heroine ever, but I can respect her progression as a character. I feel like this book could have been 50 (ebook) pages shorter. I think this book kinda shoots itself in the foot because it is the first book of the series and it needs to set up the world and the other girls’ stories. But I found the first third to be pretty dry (mostly when they were at school) and then it picked up when they went to the New World. Then it weened a bit near the end but I did enjoy the last half of the book way more than the first. The plot is also pretty linear in its progression. There isn’t a whole lot happening at once–it reminded me of an adventure story in that aspect. It read like A to B to C–when one thing “finished” another would pop up but nothing really seemed overarching when it came to Adelaide’s story besides her hidden identity. I wanted a little more substance I suppose to the plot. This was a huge disappointment for me. It felt like a love at first sight type of story because I didn’t get why they even liked each other besides some subconscious feeling. While the sexual tension in the middle of the book peaked, I found it quickly dissipated and I was left disappointed overall in the romance. Especially when the book was on the drier side, I really looked to the romance to give me some excitement. What I like about this series is that each book focuses on a different girl and the stories all interweave. I’m assuming the next two books will be about Mira and Tamsin since they are the only other girls we really meet but that’s just a guess. I was really intrigued by these two, especially when all this stuff happens–so I can’t wait to connect the dots. This book didn’t wow me like I wanted it to. I wanted a little more passion I suppose in all aspects. BUT, I am very curious what the next story will be so I am definitely sticking with this series. There is a prequel novel called The Kill Order and novella that is listed between books 2 and 3 called Thomas’s First Memory of the Flare. I had heard about the Maze Runner series before I heard about the plans for the movie and had put it on my to-read list. But with the movie approaching, I decided to read it before the movie was released in September. The first book in the series, The Maze Runner, was very slow and dry. I was expecting the action to happen right away and I found that the plot really didn’t pick up until the last third of the book–which is quite far into the novel as it is a longer novel. I just felt like the little pieces of the mystery took too long to be revealed; because once more pieces were revealed, it got really interesting. But until you know more it is quite dull. Part of the issue is that it is very descriptive–which isn’t bad because I have a good idea of what the world looks like–when it doesn’t really need to be. I could see why a lot of people didn’t enjoy the novel as it isn’t as intense or action packed as, say, the Hunger Games were. I think the movie will do well though because they will speed through the exposition quicker and focus more on the few action scenes we do get in the first half of the book and expand upon them. Up until the halfway point or so of The Maze Runner I wasn’t entirely sure if I would be reading the second novel, The Scorch Trials. I didn’t want to have to put myself through another round of dry, overly descriptive chapters.But when everything is finally revealed, I really got into the story and was excited to read book 2. The Scorch Trials does what I wish The Maze Runner did, and that’s hitting the ground and running (no pun intended). There isn’t an inflated exposition to sift your way through. Instead we dive right into the next scene and watch the mystery unravel around us. I did find that some chapters were slower than others but overall, The Scorch Trials is a vast improvement over its predecessor and I understand why people love these/this books/series because it is quite the ride when it wants to be. It makes the task of reading The Maze Runner almost worth it. Unfortunately though, The Death Cure, the third and final book of the series, drops the ball. It was more “death” than “cure”. Like the inaugural book of the series, it was super slow. It got to a point where I was just skimming the text because I really didn’t need to read every detail to get an idea of what was happening–because there wasn’t really anything happening! That was why it was more like “death” because it was a chore to read it–though the last 40 pages really picked up. However, I missed the “cure” part. I really didn’t feel like any of my questions about the entire series were answered and the ending leaves a little to be desired. As a concluding book in a series, it was a fail. I’m undecided about reading the prequel novel (it is a full fledged novel, not a novella), The Kill Order. It is very important that you don’t read this novel until after you read the trilogy because it will have spoilers about the world that is unveiled as you progress through the trilogy. However, the characters in the Maze Runner do not appear in the Kill Order (from what I understand). I might read it in the future, but after finishing the Death Cure, I need a bit of a break from this series. A cool concept for a series but not the best execution. It’s a slower series that does have its higher points but overall drags out throughout the novels and the entire series. I was very disappointed but I am looking forward to the movie–I think if it is executed well, it will be what I expected the series to be. If you like slower, longer stories told from the third person, this is a young adult series for you! Would I Recommend this Series to a Friend: No – unless I know that they love overly descriptive books. I would actually recommend that they watch the movie instead…find out why here! Illuminate has been on my Kobo for quite some time now but I only managed to read it this year. It was simply a case of out of sight, out of mind and its subsequent burial in my Kobo once I bought more books. Anyways: I started Illuminate and was shocked by how long it was. It nearly put me to sleep a few times because I found it so slow. This book is one that suffers from a very detailed exposition–so detailed that it is actually mind-numbing and I would forget what I was reading because I would get lost in thought or fall asleep. I NEVER FALL ASLEEP READING A BOOK, especially in broad daylight. There really was no need for the drivel that is in this book–and as I said before, it was USELESS information. I love getting a full description of the scene but this was overboard and in place of essential character interaction. I found a lot of the dialogue between the characters was also unnecessary and boring. I was 48% through the book when I made the decision to stop reading–despite having paid for this book and also having the sequel, Infatuate, out from the library. There were two reasons I stopped reading: 1) was that my Kobo was telling me that it was going to take another 5 hours to finish it; and 2) there was absolutely no plot happening. Again, this book suffered from too much detail and it shows in the nonexistent plotline. The parts where Haven reads from the mysterious book and ACTUALLY interacts with Lucian are too few and far between for my tastes. I was very bored with this book and even reading the plot synopsis for the sequel, Infatuate, wasn’t enough to stimulate my curiosity for what is actually happening at this hotel and to Haven. It doesn’t help that Haven is extremely dull herself. I didn’t understand her fascination with Lucian at all. They met twice and only spoke a handful of words to each other and she fancies herself in love with him. I was expecting more romance in the story but instead, it focused more on Haven doing every day things at her internship and giving a minute-by-minute account of what she does in a day–which is BORING! 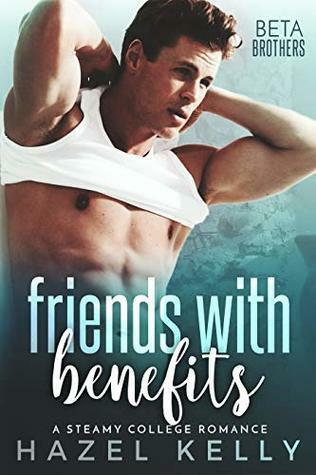 So I think it goes without saying that this book was lacking in sexual tension or any romantic interaction really–and that makes it a dull read. One day in the far future I might decide to finish Illuminate just for the sake of having a complete library on my Kobo–but until that day comes, I won’t be finishing this series anytime soon. For me, this is one of these book series that I should have read the reviews to before I bought it. I think I was blinded by the cover because if I managed to read the reviews I probably wouldn’t have read this book at all. Just a poor execution for a good idea (or what I assume is the idea). If you want a similar book but with a much better plot and execution, read Sweet Evil by Wendy Higgins. Haven Terra is a brainy, shy high school outcast. But everything changes when she is awarded a prestigious internship at a posh Chicago hotel under the watchful eyes of a group of gorgeous strangers: the powerful and alluring hotel owner Aurelia Brown; her second-in-command, the dashing Lucian Grove; and their stunning but aloof staff of glamazons called The Outfit. As Haven begins falling for Lucian, she discovers that these beautiful people are not quite what they seem. With the help of a mysterious book, she uncovers the evil agenda of Aurelia and company: they’re in the business of buying souls. Will they succeed in wooing Haven to join them in their recruitment efforts, or will she be able to thwart this devilish set’s plans to take the souls of her classmates on prom night at the hotel? I was SUPER excited to see this book on Amazon for free one day. 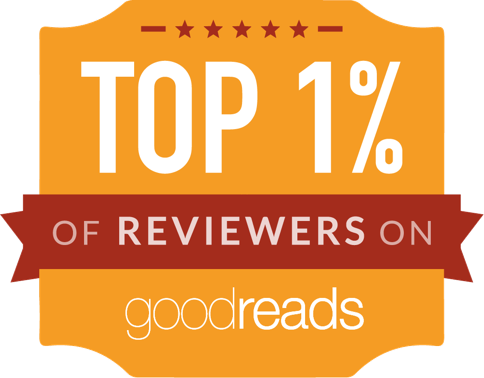 It had been on my to-buy list for a very long time and it wasn’t available on Kobo so that made my day when I saw it on the Top 100 Free Reads. Having just finished the Crash Trilogy, I was looking for something to fill the hole in my New Adult loving heart. To me, the Crash Series is the standard I compare all other New Adult books that have a sports theme to because it was the first one I read and it is one of the best that I have read. So this series seemed to fit the bill perfectly–and even better was the fact that it started right when they were in college! I thought this book would start from the beginning of their relationship. I thought I would get to see them fall in love and the first book would end the typical way these books do: with a cliff-hanger and them at an impasse in their relationship. But that is NOT what I got at all. What we actually get is alternating flashback chapters about how the two met and got to the current point in their relationship. It was an interesting way to do it and it made me want to keep reading the book to see what happens next; but, I would have liked to have read the book all in order of the sequence of events because I think it would have let me fall in love with the characters. Charlie was not what I expected either. I thought I would like her; that she would be a strong lead but she was a hard person to like at times (i.e. practically always). She was annoying, selfish and very immature. I didn’t get her thought process and I had a hard time respecting some of her decisions and actions. She just didn’t do it for me and because the story is told from her POV it was hard to read at times; especially when I was rolling my eyes at her. Colin…sigh…he was a disappointment too. He started so charming and likeable. I felt so sorry for him that he was stuck with a girl like Charlie and I was confused about what he saw in her. But eventually I came to dislike him too. He also turned a little too alpha-male–which turned me off. I actually felt a little disturbed reading this story at times because their relationship was very unhealthy to me. About halfway through I thought we were going to get a relationship-gone-bad type of story because it got a little intense and not in a good, romantic, happy fun-times type of way. I actually managed to finish Falling Into Infinity despite wanting to give up on it a few times. And at the time I was glad because it seemed like the story was going to get a lot more interesting based on the way it ended. Believe it or not, I was a little excited to see where From Now Until Infinity was going to take us. Unfortunately, I couldn’t stomach Charlie and Colin for more than a few chapters. It was boring, I still didn’t like the characters and I had other books I wanted to read so I put it and the rest of the books at the bottom of my to-read list. Knowing that there is a FOURTH book in this series made me glad I stopped reading because I wouldn’t want to feel obligated to read a series I have no interest in but feel the need to finish. This series just didn’t do it for me and it’s a shame because it had all the great makings. But alas, the plot was under utilized making the book slow, the characters came across as self-centred teenagers and everything is slightly overdramatic. Some people might enjoy the slower overdramatic plot but others will not. Pre-med student Caroline “Charlie” Collins, a sophomore at Texas A&M, knows exactly what she wants in life and the order that it will happen: finish college, complete medical school, and then fall in love. A chance meeting with A&M’s star quarterback Colin McKinney changes everything. A friendship between the two grows over time and blossoms into a powerful love affair. Charlie and Colin must learn to cope with his transition to playing professional football, the crushing attention of the media, and constant demands of his fans. At the same time, she’s struggling with how her dream of attending medical school will fit into their already stressed relationship and Colin’s new life. Falling Into Infinity asks the question is just loving someone enough to make a relationship work?